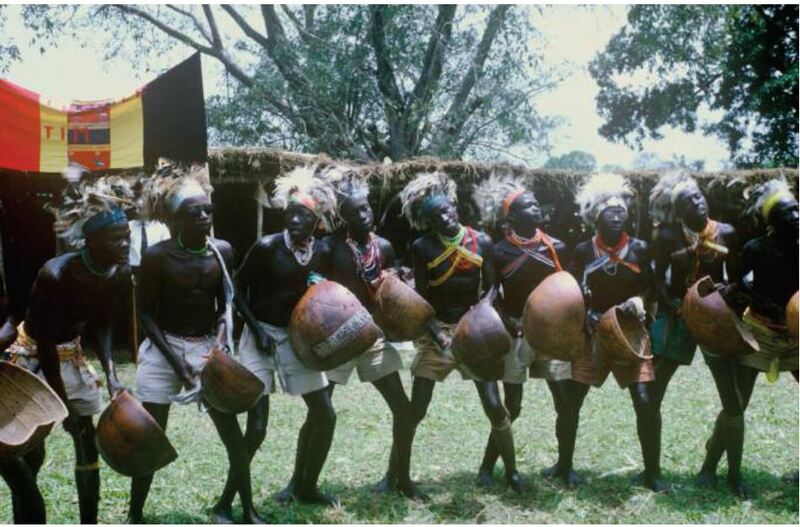 Dance, Manhood and Warfare Amongst the Acholi People of Northern Uganda. 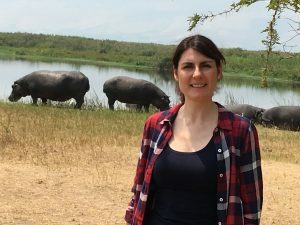 Read this latest Blog Post by Lucy Taylor, an AHRC Kluge Fellow who worked on War and Masculinity in Uganda at the Library of Congress during 2016. The post is re-published with kind permission from the John Kluge Centre at the Library of Congress. They are one of the AHRC’s partner organisations who provide placements via the AHRC International Placement Scheme for AHRC fellows around the world. Its the 4th such Blog from Kluge. number of African cultures and societies. Are shown in the arena! appropriate gendered roles and behaviours. 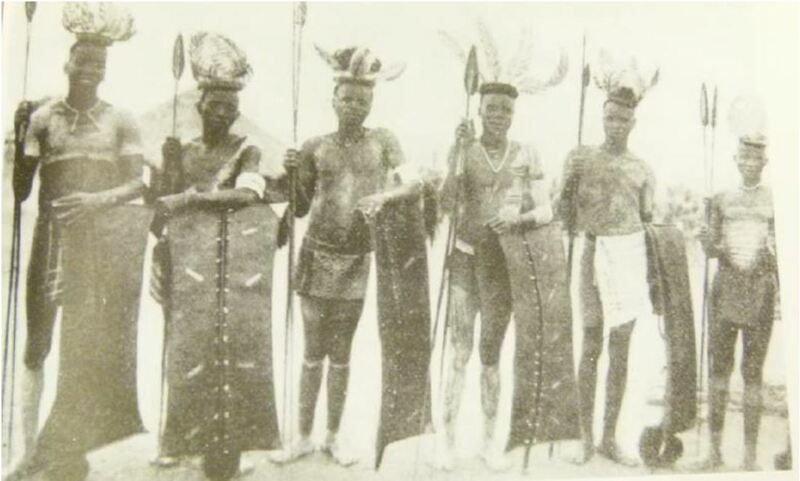 femininity in pre-colonial Acholi society. spears and shields whilst women carried a lukile, a small axe. 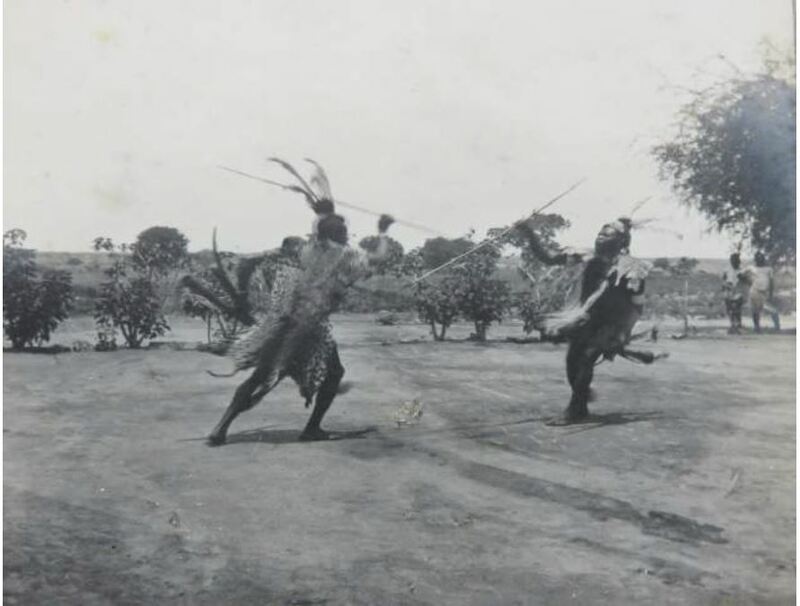 Thus, although trauma is rarely considered during discussions of pre-colonial African warfare, I would argue mechanisms such as the Otole dance, through freeing men of guilt or regret, helped further emotionally prepare men for war by relieving or reducing the psychological impact of participation in violence. impact of participation in violence. innovative methodologies for researching pre-colonial African history. Desire (The university of Chicago Press: Chicago, 1988), pp.4-5. African Studies, XII, 1-4, pp.111-133, (p.114). African Studies, XII, 1-4, pp.111-133, (p.115-119). Categories: International Placement Scheme | Tags: acholi, International Placement Scheme, IPS, larakaraka, Library of Congress; IPS; AHRC; Funding; Early Career; PHD | Permalink. 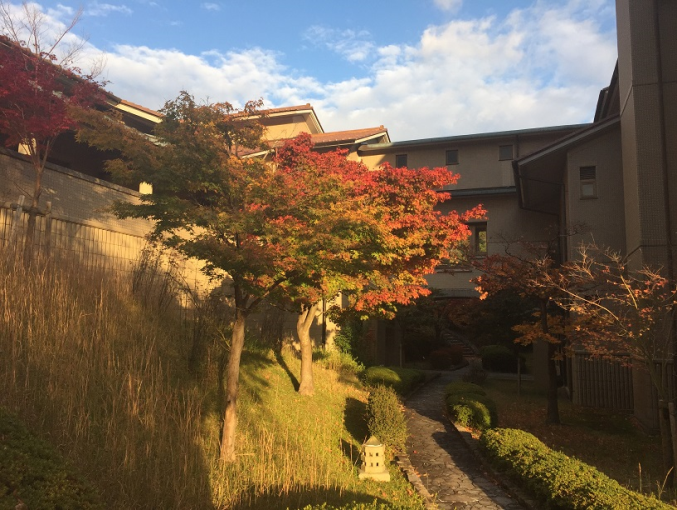 In this latest Guest Blog, Hannah Bayley, International Placement Scheme Fellow, reflects on her experiences of the IPS Scheme and time at the International Research Centre for Japanese Studies, (part of the wider NIHU (National Institutions for Humanities) in Kyoto, Japan. Writing a doctoral thesis often triggers moments of reflection. Sat in a dedicated creative writing session at Keele on a particularly grey foggy Thursday morning I found myself looking out of the window and thinking how the weather and the damp atmosphere provided the perfect conditions in which one might expect to meet a yūrei (The most common Japanese term for ghost, roughly translated as dim spirit). This kind of meeting was something I half expected to experience while sitting in the library of the International Research Centre for Japanese Studies during my AHRC International placement, head bent over publications strewn with images of Japanese spirits and descriptions of ghostly sounds. I never met a spirit in that library. However, I did leave my five-month fellowship with a wealth of ideas focused on distinctly Japanese representations of sonic haunting that have fruitfully shaped the course of my doctoral thesis. I am currently in the writing up stage of my PhD which offers a reconceptualization of the roles of sound and music in Japanese ‘ghost’ film, and how that differs from other traditions elsewhere in the world, especially considering the number of American J-horror remakes that have emerged. I can recall two months into my PhD at Keele University receiving an email from the Music postgraduate mailing list and my efforts to carefully assess which of the six inter-university institutes that make up the National Institutes for the Humanities in Japan would be right for me. 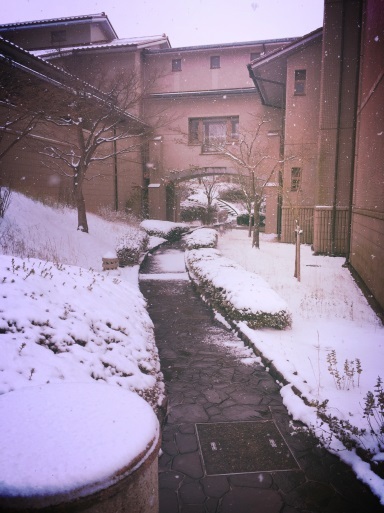 As an institute with an emphasis on comparative studies and cultural exchange the International Research Centre for Japanese Studies, or Nichibunken (日文研) was well suited to my project. Further research on the host website confirmed this, as I would have direct contact with a wealth of relevant resources on filmic, literary and theatrical traditions. Pre-fellowship I had read and accessed some of their special digital databases online. Once at Nichibunken the library staff were incredibly helpful, providing guidance on how to access a number of items in print form. I was able to view unique visual materials from the collections of Paintings of Strange Phenomena and Yōkai (Ghosts, Monsters, Spirits) and the Database for Folktales of Strange Phenomena and Yōkai (Ghosts, Monsters, Spirits). The library also had a number of microfiche collections and I retrieved cuttings from the Prange collection, publications (books, periodicals, pamphlets, newspapers), documents, posters, etc. that were censored during the Allied occupation of Japan between 1945 and 1952. Articles retrieved were all reports on cinema and film music, mainly screen guides from this period of restriction in journalism. Most of the documents were in Japanese but I was granted permission to take away photocopies for future translation work. Admittedly, I had one concern when I applied to the fellowship and that was the Japanese language level requirement. As someone who has obtained a certificate of Japanese language competency it still did not inspire a lot of confidence in me, but there was no Japanese language skills requirement for Nichibunken, and it never posed that big an obstacle as there was always help on hand and a large proportion of the library resources are in English. Support was provided by the Research Centre’s staff, visiting researchers, and students, and especially by my host supervisor, Professor Hosokawa Shuhei, who introduced me to a number of research contacts. I was encouraged to develop both my research and language skills by attending monthly seminars in English and Japanese, as well as the International Research Symposium hosted at Nichibunken, and the Sokendai (The Graduate University for Advanced Studies, Osaka) Cultural 2014 Forum. I presented an early version of my analysis of transnational adaptation in the music and sound design of Ju-on: The Grudge and its remake The Grudge at the Kyoto-Nara EU Association English club. My first-hand experiences of several Japanese performing art forms from ancient court music and dance (Gagaku) to traditional puppet theatre (Bunraku), and traditional theatre forms such as Noh and Kabuki, would not have been possible without being awarded my fellowship. One of the most illuminating moments was actually being able to take part in a workshop on butoh, an avant-garde dance form that originated after World War II. The class was led by acclaimed choreographer and dancer Ima Tenko, whose performances I had attended earlier in my placement. Never underestimate the power of networking, anywhere! I began attending services at St. Agnes church in Kyoto, where I played the organ for a few services. There, I met a conservator of Japanese paintings who introduced me directly to a research contact at the International Noh Institute (INI). I was advised on performances and arranged to sit in on a rehearsal led by the Kongō School Master-Actor Udaka Michishige, leader of the INI. These immersive opportunities have transformed my understanding of the unique sonic practice of Japanese performing arts. To be able to examine culturally specific traditions of supernatural and horrific representations in the Japanese arts and how they have shaped examples of sonic practice in Japanese film within the ‘field’ has enriched my understanding beyond the scope of anything I expected. My time at Nichibunken has equipped me with the original scholarly foundations required for my doctoral thesis and helped me to shape the various cultural, social and artistic contexts for a research paper I had begun working on, which will be published in 2018. 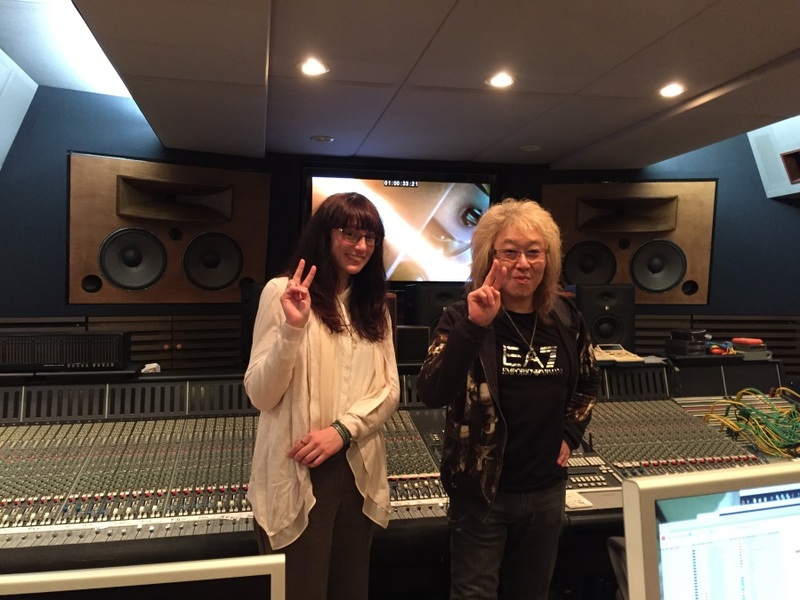 Thanks to the support of staff at Nichibunken I was also able to contact figures in the Japanese film industry ‘in country’ and travelled to interview three prominent film and video game composers; Shimizu Hiromi, Kawai Kenji (pictured) and Ashiya Gary. During my placement, I liked the fact that I had the option to live alongside other researchers at the centre in a self-contained apartment in Nichibunken House. A nearby supermarket, post office, bank and on-site restaurant at the institute were all conveniently located. A short walk away was what quickly became one of my favourite ramen restaurants. Transportation was very reliable and frequent, especially the bus services, as Kyoto city itself is roughly a 30-minute drive away from the western edge of the city, where Nichibunken is situated. Arashiyama, Osaka and Nara are also easy to reach and of course the famous shinkansen (bullet train) was convenient for travel to places such as Nagoya and Tokyo, especially with a Japan rail pass. Being a big foodie, I was more than happy to sample some of the famous Kyo-wagashi (Kyoto sweets), Yatsuhashi (red bean paste confectionary), and of course experience the Japanese tea ceremony, which I attended frequently. I was even trained in the Way of Tea (Chadō, Sadō or Chanoyu, literally “Hot Water for Tea”). Kyoto inspired me with its wealth of beautifully preserved temples, shrines, rock gardens, the former imperial palace grounds, and I didn’t miss any chances to attend the city’s festivals and illumination events. I will treasure my many walks around Kyoto reflecting on the connections of nature, animism and the supernatural in film music, whilst appreciating the beauty of viewing both the colourful maple leaves of autumn (koyo/momiji) and the first buds of the cherry blossom (sakura) season, which were often accompanied by the telling of a tale from Japanese folkore. I am so thankful that I spied an opportunity in an AHRC email, and applied for the IPS. The fellowship has enhanced my knowledge of Japanese ghost and horror traditions through the ages in ways that have enabled me to develop fresh approaches to the criticism of films, scores and soundtracks. The impact of my placement has allowed me to develop the leading-edge expertise that I hope will open many doors as I seek post-PhD academic employment. And who knows? Maybe I will return to Nichibunken one day and encounter a spirit or two. Categories: International Placement Scheme | Tags: International Placement Scheme, International Research Centre for Japanese Studies, Japan, Keele, Nichibunken | Permalink. On 5th January 2017, between 1430-1600hrs, AHRC is hosting an International Placement Scheme (IPS) Twitter Chat. Anything that cannot be answered will be responded to within a few days. Details of the Twitter Chat can be found on the events page. Further IPS scheme information is located on the website. Categories: International Placement Scheme, Uncategorized | Permalink. This is the 2nd posting from the The John W. Kluge Center at the Library of Congress. With kind thanks and permission of Jason Steinhauer and ESRC. In 2012 and 2013, Nieves Zúñiga was an Economic and Social Research Council (ESRC) Fellow at The John W. Kluge Center, researching a project titled “Indigenous Struggles over Recognition in Bolivia: Contesting Evo Morales’s Discourse of Internal Decolonization.” Today, she is putting her knowledge of Bolivian society to use as part of the EU-funded project Anticorruption Policies Revisited. Global Trends and European Responses to the Challenge of Corruption (ANTICORRP), examining anti-corruption policies in Bolivia and Rwanda. She talks with Jason Steinhauer about how her scholarship has informed her current work. Hi Nieves. Welcome back to the Kluge Center. Refresh our memory: what was the subject of your research when you were here years ago? When I came to the Kluge Center as an ESRC Fellow, I was a Ph.D. candidate in the Department of Government at the University of Essex in the United Kingdom. My thesis was about the recognition of indigenous peoples in Bolivia. I was analyzing the discourse that the government of President Evo Morales was using to recognize indigenous peoples and how indigenous peoples were responding to that recognition. What had been the status of indigenous people in Bolivia prior to his administration? Indigenous peoples in Bolivia, as well as in other countries in Latin America and in the world, have struggled to get their rights recognized. President Morales recognized them at different levels. Foremost, he recognized their right of self-determination. This is a key right that indigenous people claim but states are reluctant to grant because it involves potential conflicts surrounding land and natural resources. As well, he turned the nation state into a multi-national state, meaning that indigenous autonomies are constitutionally acknowledged as legal political forms of organization, indigenous languages enjoy the same official status as Spanish, and an indigenous flag is now a national symbol. However, despite the answer that these acknowledgements represent to historical indigenous demands, several indigenous leaders remain dissatisfied with these changes. My thesis provides a political explanation of why the recognition of cultural diversity in Bolivia has fallen short. My argument is that the indigenous dissatisfaction can be explained by the divergence between the discourses of the state and of indigenous struggles. The cultural recognition granted by Morales is based on an essentialist idealization of indigenous identity that does not correspond with reality. One of the indigenous leaders that I interviewed told me that before indigenous people could not participate in politics because they were thought to be inferior, and now they are considered pure and they are forced to maintain that pure image, which is another form of control. I suggest that this tension reveals a different understanding of what decolonization and recognition mean, not only between the Bolivian government and the indigenous peoples, but also among indigenous peoples in the highlands and the lowlands. What did you find at the Library that helped you understand these issues? I found lots of literature of Bolivia before Morales and during Morales’s time. And something really interesting is that I found many pamphlets from Bolivian social movements and local authorities—materials that are quite difficult to find in the field because you have to gather them from across different regions. However, I found them here concentrated all in one place, which was very helpful. ESRC Fellow Nieves Zuniga conducting fieldwork in Rwanda, July 2016. Photo provided by the scholar, used with permission. So following completion of your thesis, where did you go? After my PhD I continued working in Bolivia. My project now is on anti-corruption policies. Since 2014 I am research fellow at the School of Politics and International Relations at the University of Nottingham for the project ANTICORRP funded by the European Union. The main objective of the project is to examine why some anti-corruption policies work, and others don’t. We are twenty multidisciplinary research groups in fifteen EU countries working on identifying factors that promote or hinder the implementation of effective anti-corruption policies. At the University of Nottingham, together with the Developmental Leadership Program at the University of Birmingham, we are doing a comparative analysis between the anti-corruption policies in Bolivia and Rwanda. Even though Bolivia and Rwanda appear to be very different, they have interesting similarities in the way they understand corruption. For both of them the problem of corruption stems from colonialism. The solution, therefore, is to reconnect with indigenous and pre-colonial values and institutions. Our approach is to see how the promotion of integrity and values can play a role in anti-corruption in combination with a compliance approach, and both countries place an emphasis on values and ethics as key tools to fight corruption. However, it’s very interesting to see how they are getting different results. Anti-corruption is one of the most celebrated achievements of Rwanda in the last years, whereas in Bolivia the negative perception on the levels of corruption has hardly improved. In Rwanda, the education in values is a continual activity and they use diverse formal and informal mechanisms to reach the different groups of the society, which explains, among other political and historical factors, a change in attitudes toward corruption. In Bolivia, activities regarding educating citizens against corruption are sporadic and isolated and, in reality, there is a prioritization of regulatory codes and compliance over values that prevents to change a mindset that condemns corruption in theory but tolerates it in practice. How does your Ph.D. thesis, and your research at the Kluge Center, provide insight for your current project? What will be the end result of your current work? The main product will be a report on the promotion of integrity in fighting corruption. We propose to move the debate from fighting corruption to promoting integrity in public management. Everybody believes that integrity is good and necessary, but very few know how to define it, and even less how to implement it. With this report we try to provide an operational definition of integrity and ideas for its practical implementation in public institutions. This report will be presented to policy-makers, public officials and practitioners in the EU and other international contexts. Another main product will be the comparative analysis of the anti-corruption policies in Bolivia and Rwanda, and more in-depth papers on each case. I recently presented a preliminary analysis in the OpenGov Hub in Washington, D.C. on what is working in anti-corruption with successful examples from Rwanda and the municipal government of Juan del Granado in La Paz, an exception in Bolivia. It was nice to see in the audience Ronald MacLean Abaroa, former mayor of La Paz who has done a lot of work on anti-corruption, meet him personally, and talk further over coffee. What does the future hold for you—what role do you see for yourself moving forward? My future will hopefully involve doing something that is a bridge between the intellectual world and pragmatic results. I want to do research, coordinate projects and work in teams to make a positive impact in society. This is what I really want to do. To have the Economic and Social Research Council ESRC/AHRC fellowship to do research at the Kluge Centre in the Library of Congress was fantastic for many different reasons. During my PhD I had to divide my time between working on my dissertation and doing other jobs to help myself financially, like being Graduate Teacher Assistant and note-taker for students with disabilities. Both of them were great personal and professional experiences and they also meant extra effort on my PhD thesis. To have three months during the summer fully funded by the ESRC/AHRC to focus only on my research meant the paradise to me. Moreover, it gave me the opportunity to be part of one of the most fascinating places for the intellectual brain. The Library of Congress, and the Kluge Centre in particular, is fantastic not only because of the resources they have –imagine being the biggest library in the world!-, but because of the possibility that offers to interact with scholars from different countries and fields. To be part of such intellectually stimulating environment allowed me to learn from different topics such as graffitis in Pompeya, medieval maps, Mongolia, the history of money or social movements in a digital era, and also to look at my own research with fresher eyes. I have to add that Washington DC is a fantastic and beautiful city. Full of cultural opportunities, friendly people, and sun! I loved living there, and as Spaniard I can deal pretty good with the hot weather. I brought many things from my time at the Kluge. It opened to me professional opportunities otherwise impossible to have. And to meet the staff at the Kluge and the LOC was great. They are really welcoming and helpful, and the contact with some of them have developed in friendships that last until today. I go back to the Kluge whenever I am in DC and it stills feels like home. I really recommend applying to this fellowship. If I could, I would do it again! More information on the 2017 Scheme can be found via the website. Categories: International Placement Scheme | Tags: International Placement Scheme | Permalink. 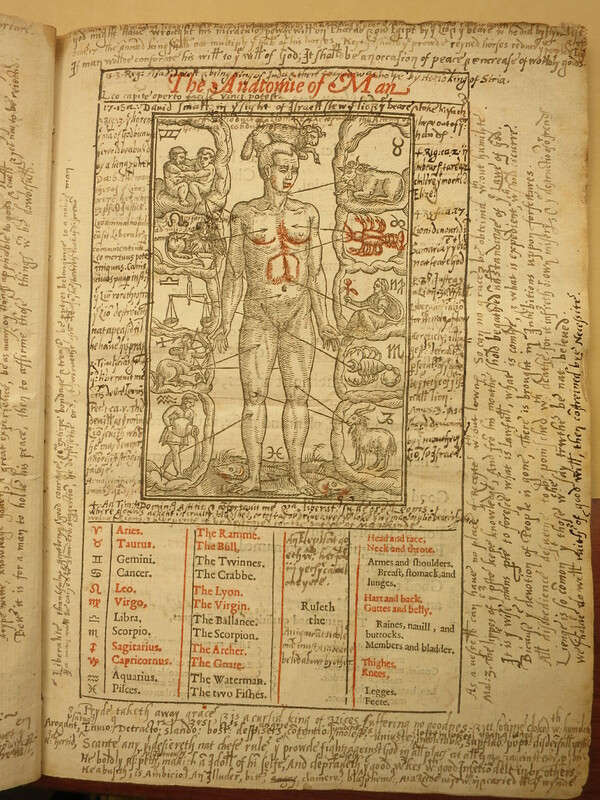 In this latest International Placement Scheme (IPS) Blog, Catherine Evans, an IPS Fellow, talks “Annonated Almanacs”. I didn’t start a PhD to see the world. However, I must have had Dr. Seuss floating around my head when I heard about the AHRC International Placement Scheme: “the more you read the more you will know, the more that you learn the more places you’ll go”. A call to always scour departmental emails perhaps? Whatever it is, I’m glad that Seuss spurred me to apply for the IPS scheme. 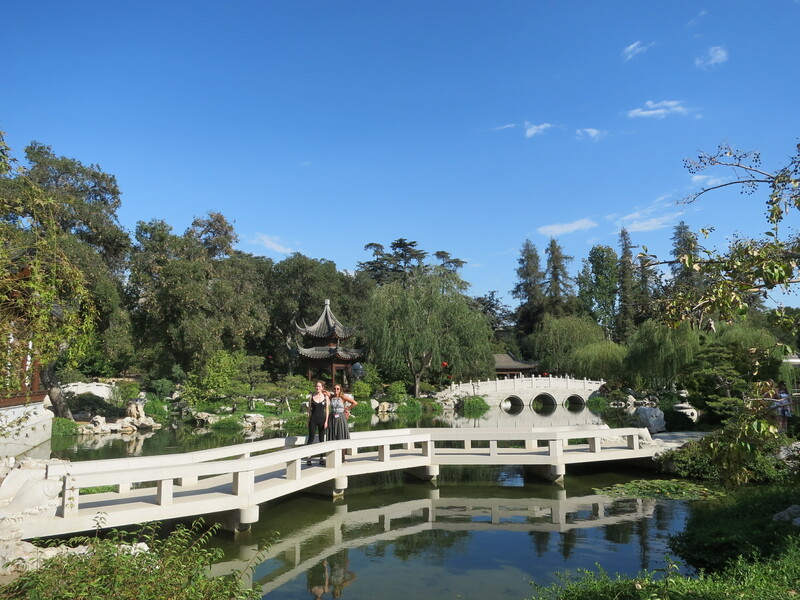 I was lucky enough to be awarded a four-month fellowship at the Huntington Library in San Marino, California. The Huntington is one of the largest research libraries in North America, specialising particularly in the English Renaissance. With collections of over 420,000 rare books, and 7 million manuscripts, I assumed that this would be a daunting and challenging place to work. However, the last four months I have spent working at the Huntington have shown me that the most imposing of institutions can also be extremely welcoming. I began my PhD around a year ago, moving to the University of Sheffield to study with Emma Rhatigan and Marcus Nevitt. My thesis examines the sensory experience of time in early religious literature from 1530-1660. Critics have often asserted that the early modern period was characterised by a drastic change in the perception of time, moving from a cyclical understanding of the calendar marked by religious festivals to a linear, proto-capitalist progression. My project seeks to nuance this construction, considering how early modern authors and divines engaged the senses in their approach to temporally inflected religious problems, such as predestination and the conditions of bodily resurrection. Whilst at the Huntington, I have taken a break from looking at early modern psalm translations and sermons to undertake a focused survey of the library’s holdings of annotated almanacs. This was the first piece of focused archival research I have carried out, so I was somewhat apprehensive about how best to start. However, the curators at the library were incredibly helpful and giving of their time. They talked me through the various finding aids, and even ran searches using a staff only online catalogue to help me identify all the almanacs with annotations within the collection. I’d be expecting to find evidence within the almanacs of how people organised their time, assuming that this form would lend itself to creating a more ordered, linear view of the progression of time. However, in the process of my research I found that almanacs paradoxically offered a space in which to pleat the fabric of time, with annotators often writing against the books’ projected uses. 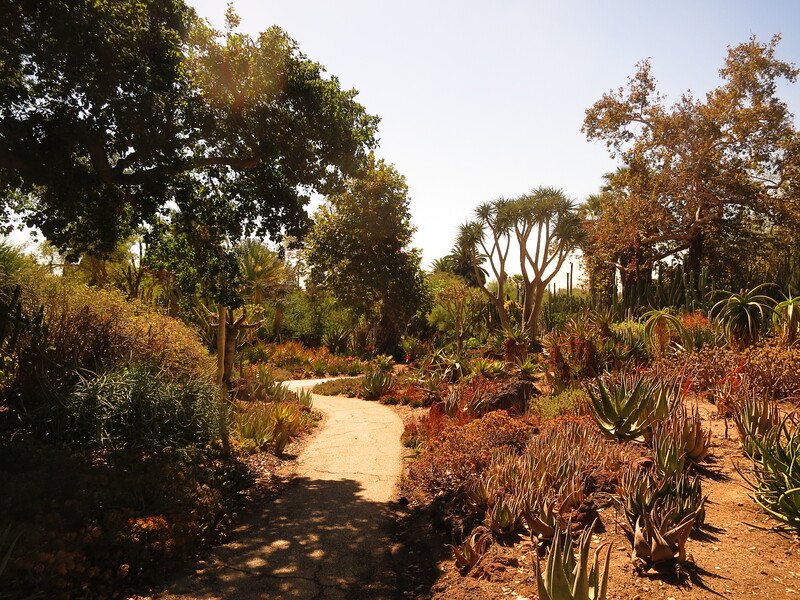 Although the collections were extremely engrossing, the excitement of LA and beauty of California were too great to resist, and I’m happy that I made the most of my time in the area to explore further. 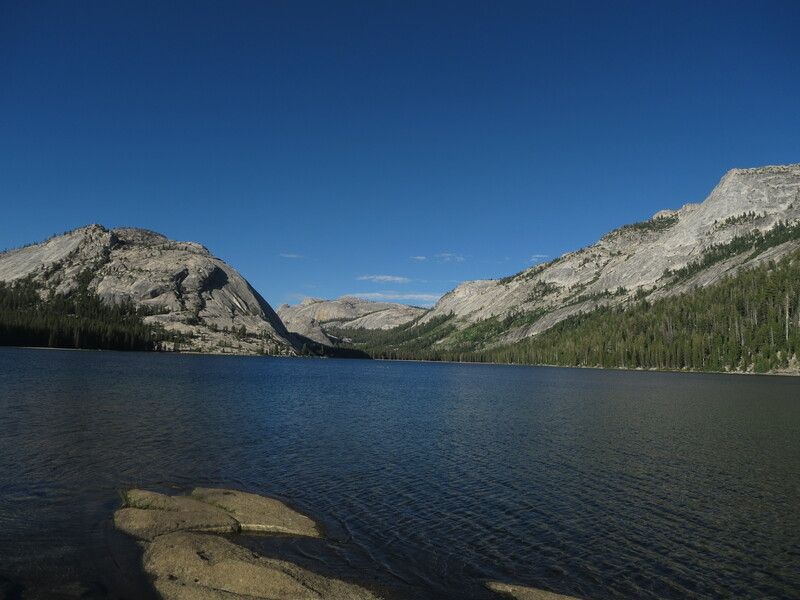 Weekend trips to San Diego, the Grand Canyon and Las Vegas with other fellows were a highlight, as well as visiting Yosemite and exploring the beaches of Orange County. Although LA can be a tricky city to navigate, being here for such an extended period of time meant that it was easy to get to know different neighbourhoods. Although the Huntington is based in San Marino, the majority of fellows live in Alhambra or Pasadena, only a few miles away from Echo Park (the Peckham of LA, according to a man met in an arcade game bar) and Highland Park, home to Donut Friend, which became a weekly fixture! LA is also overflowing with museums and galleries, ranging from monumental LACMA to the tiny yet moving Museum of Broken Relationships. 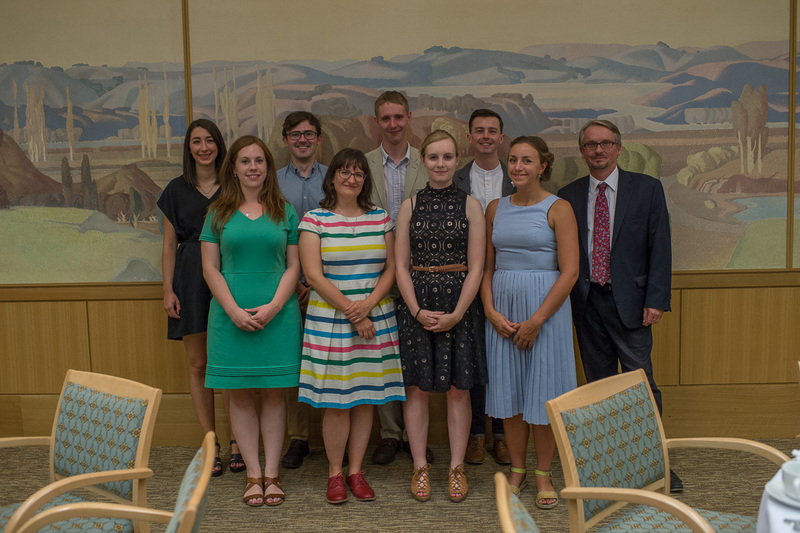 The IPS fellows were warmly welcomed into the research community at the library, with Steve Hindle and Catherine Wehrey-Miller both working hard to include us in events and help us make the most of our trips. Whilst I was in residence, I was able to attend two fantastic, wide-ranging conferences: Ben Jonson 1616-2016, and Early Modern Literary Geographies. There was also a busy programme of Brown Bag talks, monthly seminars by the USC-Huntington Early Modern Studies Institute, and public lectures. These were a great opportunity to expand my academic horizons. It’s easy to become very insular whilst working on a thesis, but meeting other academics and grad student working on topics from LA bibliographic history to the pre-history of photography, and discussing their work made me more aware of the connections that can exist between the most unlikely sounding subjects. Although the archival work I did at the Huntington was fascinating, and will form a cornerstone of my thesis, making personal connections and becoming a part of such a vibrant and stimulating community of scholars was also extremely beneficial. Un-official readers’ happy hour gave an opportunity to sample all the bars of Pasadena and Tuesday tea breaks created an occasion to chat shop over cookies and coffee. Other fellows and visitors to the library were extremely generous with their time, making suggestions of different avenues to explore, books to read, and people to contact. Presenting my work at one of the lunch time talks was a daunting but worthwhile experience, as I was able get feedback from scholars with a wealth of knowledge about early modern religious practice. Leaving the UK shortly after the referendum results, and being in the US for the Presidential election added a bittersweet edge to the placement. I am extremely privileged to be able to travel so freely with my work: the combination of a British passport, an inoffensive research project, and an eminent host organisation easing my way. It feels as though these opportunities, to connect with people from all over the world and help form new, if transient, communities will be increasingly rare both within academia and in all walks of life. I had some extremely heartening discussions, with academics from all over the world, who shared how their own careers and lives have been shaped by taking part in international fellowships. I can only hope that I will be able to heed their advice, and always remember the importance of reaching out to visitors and creating supportive communities wherever I go in my future career. For me, this fellowship will surely rank as one of the highlights of my doctoral experience. Living in a beautiful pool house on a road where wild peacocks roam, cycling in the sun each morning to work in a wood-panelled library surrounded by 120 acres of immaculately manicured gardens, discounted coffee and tacos on site… All this made a welcome change from the normal PhD life of running between library and seminars in the rain, clutching a carrier bag full of books to your chest to ward off evil spirits. Most importantly, I was able to extend my academic horizons and produce some new research using little studied material. Oh, and get a fabulous tan.